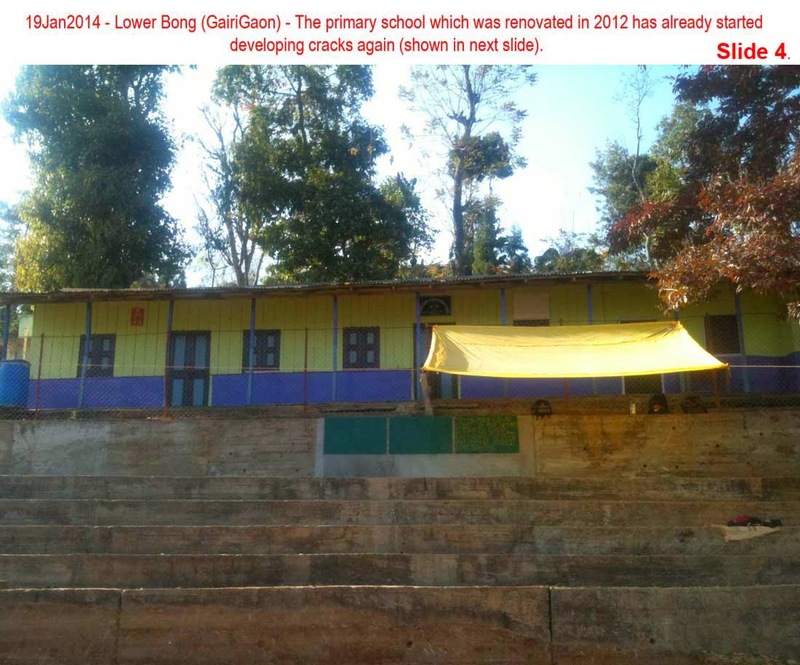 On 19Jan2014, STH visited Gairi Gaon (Bong Gram Panchayat), which lies on the eastern face of the Kalimpong ridgeline, directly below densely populated portions of the town. Agriculture, which is the main source of income for people in this village has come under threat with the landslide problem in the area. The rapid urbanization of the area above 'Lower Bong' area leading to more surface run off and during the monsoon season the enormous amounts of rainfall causes the 'jhoras' to swell so much so that in the words of a local farmer Mr Santa Bahadur Rai " The earth trembles and I just can't sleep". 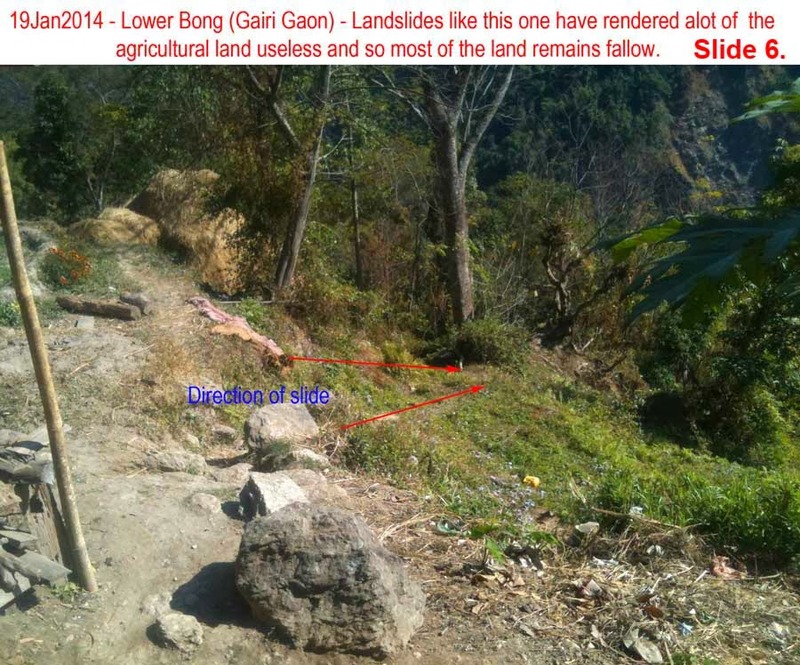 The presence of untrained 'jhoras' (streams) (Pasang and Gokulay Slide 1.) in the vicinity of the village. These streams and the 'Relli' river pull apart the hillside causing tremendous damage to the agricultural land (Slide 6.) The government has not initiated any form 'jhora' training programs in the area resulting in vast areas of land remaining fallow. 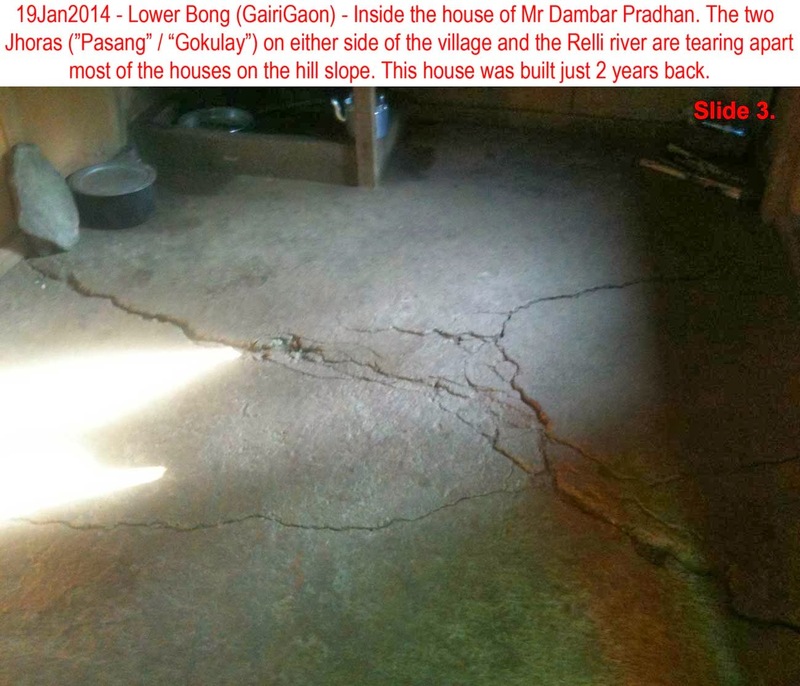 Since help from the govt or any NGO seems implausible, the villagers themselves contributed to constructing a road constructed in 2012, prior to which the only way to get to the village was on foot. Also, since there is no form of compensation given to farmers who have lost their land to a landslide by the government many people have lost there means of livelihood. 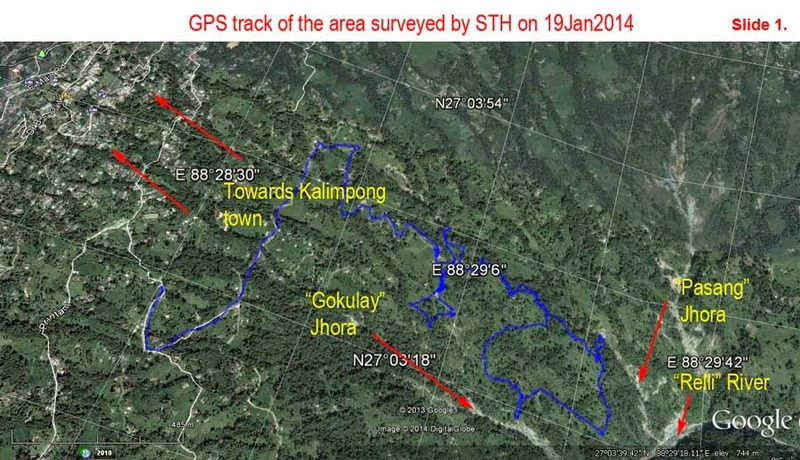 The area surveyed by STH covers roughly about 73acres (Slide 2.) 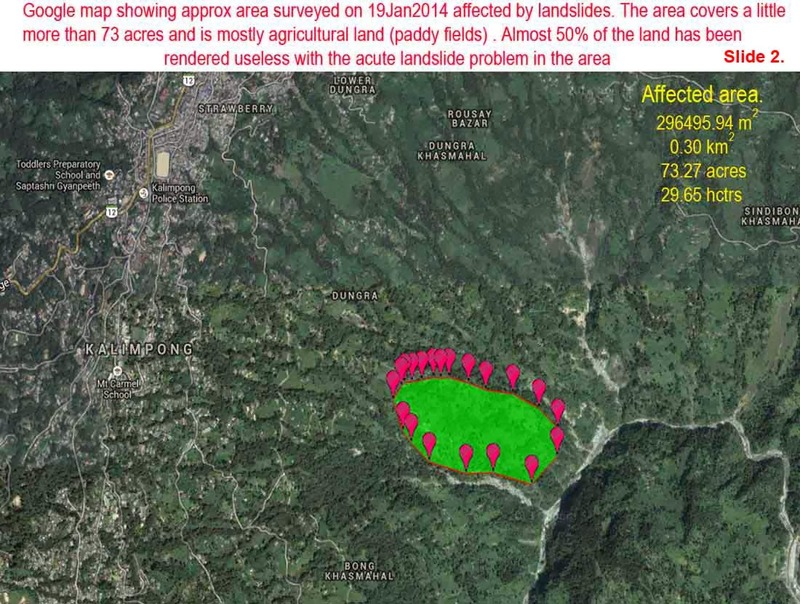 of which approx 37 acres have been affected in someway by landslide activity. 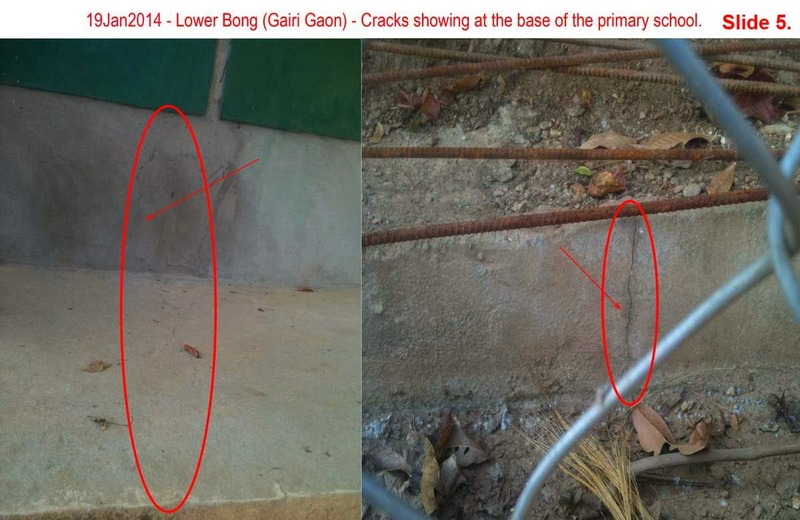 The alarming rate of wear and tear and its effect on the land is clearly evident when we look at the local school which was renovated in 2012 and has already started developing cracks (Slides 4&5). The grave reality of the situation though is that all these landslides (other major landslide areas - Sindebung,Chibbo) are actually growing in size each year, slowly nibbling away at the land that surrounds them and unless some sort of mitigation work to stop or slow this process down is done, in the foreseeable future we risk the destabilization of the whole Kalimpong town itself.